From time to time, signers will make requests that stop Notaries dead in their tracks. 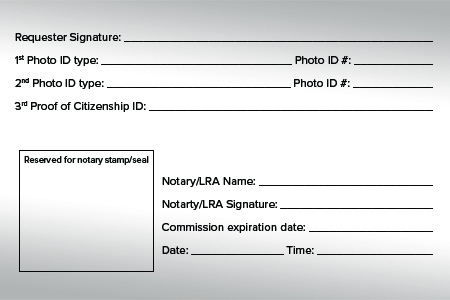 An acknowledgment or jurat is a fairly straightforward task, but what do you do if someone asks you to fill out a form declaring you are a genuine Notary? Or wants you to affix your seal or stamp to paperwork without notarizing it? 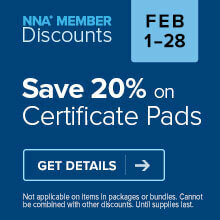 Or presents you with certificate wording that’s totally unfamiliar to you and insists you use it? If this happens to you, don’t panic — here are some tips to help you properly handle a variety of problematic requests. By signing and affixing an official seal on certificate wording, a Notary confirms that the signature was properly notarized and that they had proper authority to notarize the signature — but for some people, that isn’t enough. Some Notaries have been asked to go further and fill out and sign an affidavit where they swear or affirm that they are authorized to perform their duties and that they notarized a document on a certain date. Some of these affidavits may ask the Notary to describe the type of identification used and the type of document signed. Technically, this type of affidavit should not be necessary — you’d never complete, sign and affix your seal on a certificate of notarial act if you weren’t authorized to do so, right? Minnesota is among several states that spells this out plainly in its laws: “The signature and title of a person performing a notarial act are prima facie evidence that the signature is genuine and that the person holds the designated title” (MS 358.43[c]). If the affidavit asks you to both sign and notarize it, remember that Notaries cannot notarize their own signatures. If you are asked to do so, you must refuse. It is also a conflict of interest to notarize a document you are named in or signing in an individual capacity. Be careful if the affidavit asks you to sign using your title “Notary Public.” Your state may not allow you to do that. California is an example of a state that prohibits its Notaries from signing documents with their official title, except for lawful notarial duties only (GC 8207). In addition to what has just been said, you may be asked to not only sign your name or write down information but to affix an impression of your seal as well. However, you should never affix a seal impression on a document unless you are actually notarizing a signature in your official capacity. Some states explicitly prohibit this in statute — for example, Oregon forbids using a Notary seal for any purpose other than performing an official notarization (OAR 160-100-0110) as does the District of Columbia (17 DCMR 2404.3). Many signers assume that documents provided by a government agency or those they print off the internet will meet their needs and comply with state law. This isn’t always the case — many of these documents, for example, describe a type of notarization that isn’t allowed by state law or contain incorrect Notary certificate wording. Remember that for every notarization you perform you must sign a certificate that tells the world what you witnessed in performing it. If you discover that the certificate describes a notarial act that your state does not authorize you to perform, you’ll have to refuse to perform the requested act. If the certificate describes an act you can perform, but the certificate wording isn’t quite right, then the solution may be as simple as completing and attaching another certificate with the correct wording. Mortgage lenders typically use document preparation companies to prepare all the documents in a loan package so that they are compliant with the law and include the correct wording. However, it’s still possible that Notary Signing Agents may encounter one of the problem situations described above. If you encounter an issue with a document that you can’t resolve, contact your contracting company or the closing agent while still at the signing table to ask for instructions how to proceed. Thank you for this VERY helpful information. Hello. If you are having problems viewing an article, please email us at social@nationalnotary.org with your contact information, what type of device and browser you are using, and a description of the issue and we will be happy to assist you in resolving the problem. I had encountered this "stamp here as proof of commissiom" on a page that required my signature. I always would sign it and line through with initials the part above in quotes. So when firle called me from time fo time for not following their instfuctions, I had to teach them that it is illegal for anyone to notorize their own signatire. Other notaries would just draw a line on the page for the borrower to sign. Not good enough, since there was never a notorial certificate on the page. I use a stamp that reads, for Texas, Cannot Notarize, Sec 406.008(b)(2)(6). Never have a question when you know your laws!